The mouth of Wadi El Gemal valley, at the coast of the Red Sea. The patch of vegetation – mainly tamarisks and palms – border with very small stripe of reeds along temporary quasi fresh water pond. Along the valley a stripe of pure tamarisk grove. 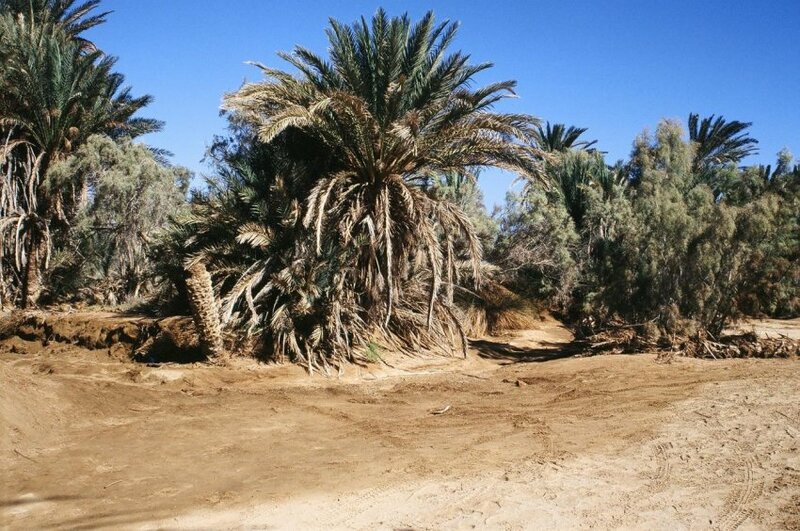 All of the area border with a stony desert without any vegetation.